I came up with the pattern for these at Christmas. I was trying to design a Father Christmas head/hat combo but whatever shape I tried looked like an egg. I binned the FC idea but out of it came these so I can’t complain. I think they’re cute but I’m not really an Easter celebrator (chocolate aside) so dunno where they’ll go. They did look quite nice sitting up by themselves. The children like throwing them around and I know the cat would too if she could get her mitts on them. It’s rather telling that I don’t have any egg cups and I had to use shot glasses. Here is the pattern. As with most amigurumi patterns, it is written in US terms. I used Stylecraft Special DK and a 3mm hook. I even found a use for Duck Egg, a colour I reeeally don’t like. Which makes me ask myself why I bought it in the first place. Huh. Round 1: 6sc into a Magic Ring. Round 2: 1 Inc in each stitch around. . Round 3: 1 sc in next stitch, 1 inc in next. Repeat around . Round 5: 1sc in next 2 st, 1 inc in next. Repeat around. . Round 8: 1 sc in next 3 st, 1 inc in next. Repeat around . Round 16: 1 sc in next 3 st, 1 dec. Repeat around. . Round 17: 1 sc in next 2 st, 1 dec. Repeat around. . Round 18: 1sc in next st, 1 dec. Repeat around . Fasten off leaving a long tail. Stuff firmly. Using a darning needle thread through the front loops only. Pull tight to close the hole. Stitch in and out a few times to fully secure and then snip the end neatly. 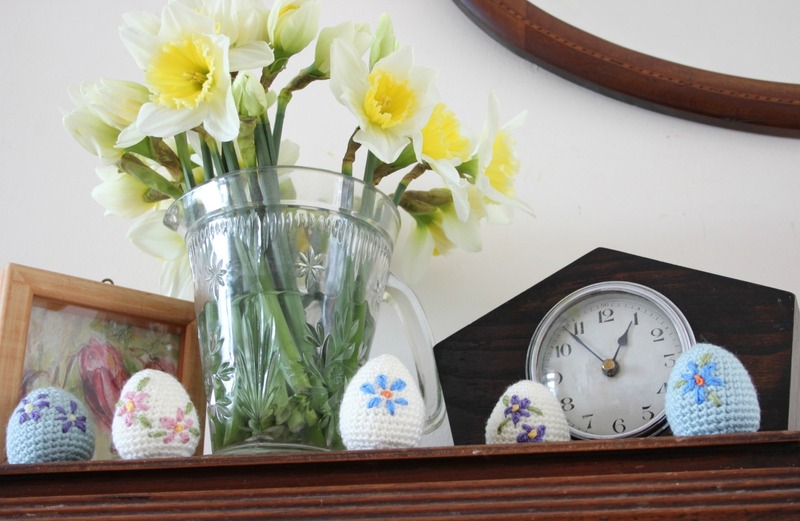 Decorating is relatively quick and easy. 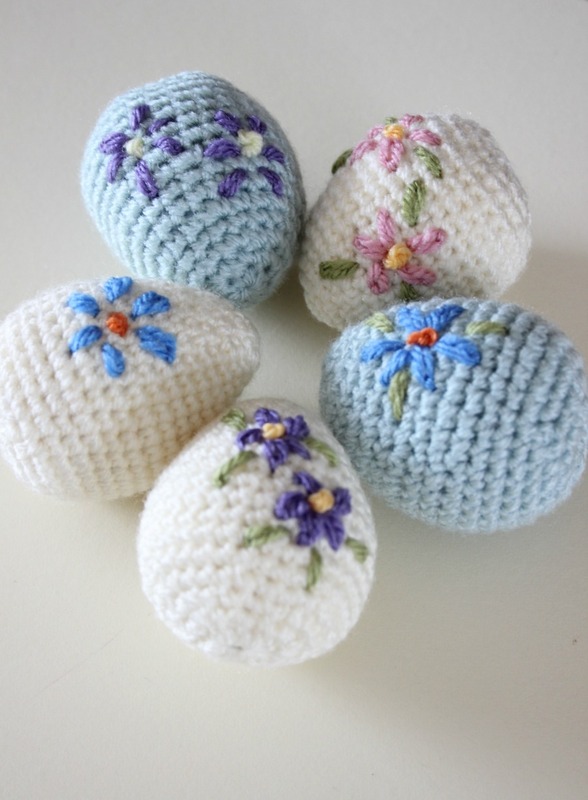 I went in through the bottom of each egg and then made french knots for the flower centres and a few chain stitches for petals and leaves. With a poke and a prod from the darning needle, the snipped ends can be hidden inside. Hey presto! EDIT: For 2017 I’ve added a video tutorial on YouTube, which also includes how to decorate with pretty embroidery. Please go here! Cheers. This is a pattern I’ve designed myself and belongs to me. It can be used to make decorations for yourself or for gifts for friends and family but not pinched or mass produced. Thanks very much. Feel free to say hello and you can even follow my blog to get more patterns and, dare I say, inspiration. Cheers! First time putting real things on Etsy! A Touch of Spice with a Pompom Edge. So pretty . . . the embroidery is delightful! Thank you! Love the eggs – and the writing. Very amusing 🙂 Do you know how tall the eggs are? Thanks! Erm, not sure. They’re the same size as a small egg. About 5 cm I reckon. Hope this helps! Thank you!! 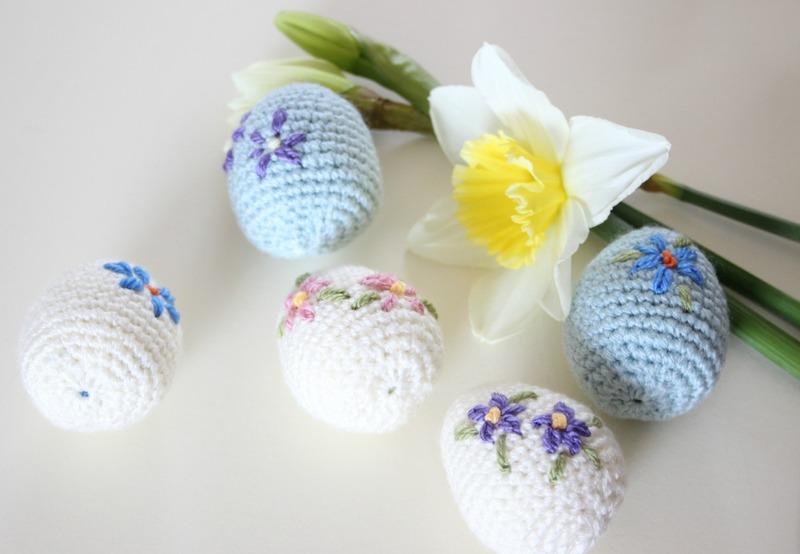 Too much amigurumi makes my wrists hurt so i’m not doing any more easter crochet either. 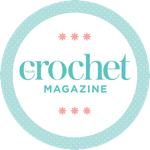 I think you could squeeze in some crochet/knitting breaks inbetween the packing, it’ll keep you sane! Plus you’re going to have a very long flight. Are you allowed hooks/needles on a plane? I think anything bamboo or plastic is ok, you hear about people having to post their metal needles home from the airport. Not sure how much time I will actually have with two little ones on a plane though! Oh yeah, I always forget about kids!! 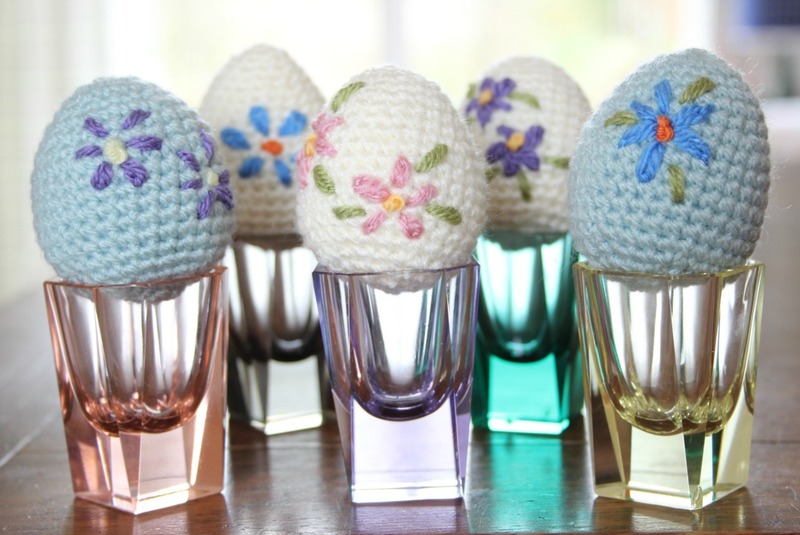 As a chocoholic I would like these as egg cosys for my chocolate egg but they look superb in your shot glasses! But they would end up empty if you ate all the chocolate!? Thanks! I’d love to see them if you do! Could there be a better use for duck egg blue? Oh, probably not! Glad you like them, thanks! Thanks! That’s a good idea. A few spotty ones would look good too! Hi there. 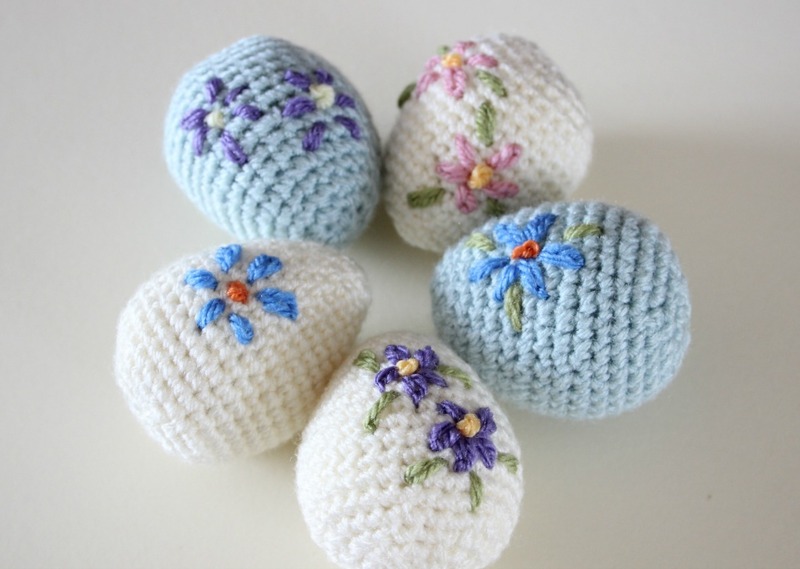 These are cute, but they’re not amigurumi. The word “amigurumi” is only for dolls and creatures and Amigurumi (capital A) is the art of making dolls by crocheting or knitting them. It’s in the name (niugurumi = doll, ami = crocheted or knitted). Inanimate objects are just plushies or stuffies. That’s just pedantry. The term has also become synonymous with this technique. 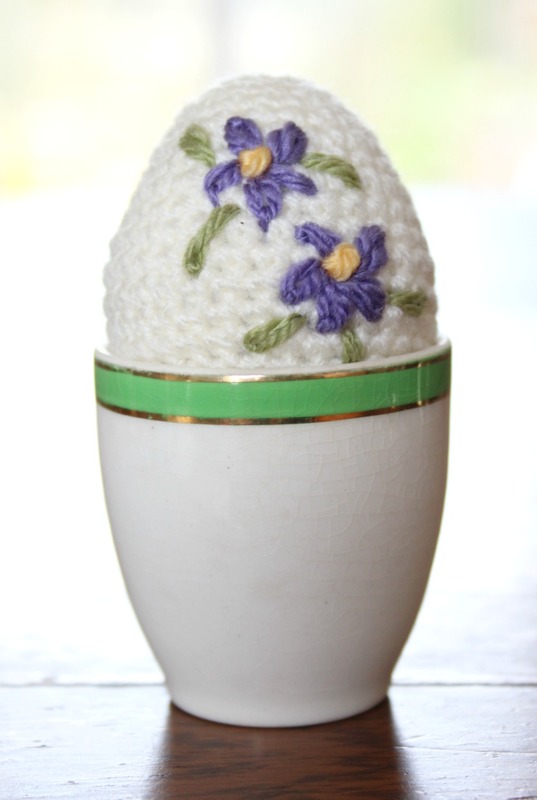 If you’re concerned, please embroider a cute face upon your eggs. Hey presto, problem solved! Thanks! !😄 I still need to get some egg cups!! Absolutely adorable . I’ve made them all to my family’s delight. Thank you so much . What is a fading pink pen? I cannot find one.